The procedure described here addresses the vertical dimension of growth only. Most children will also need arch development, which can be carried out simultaneously with removable appliances. 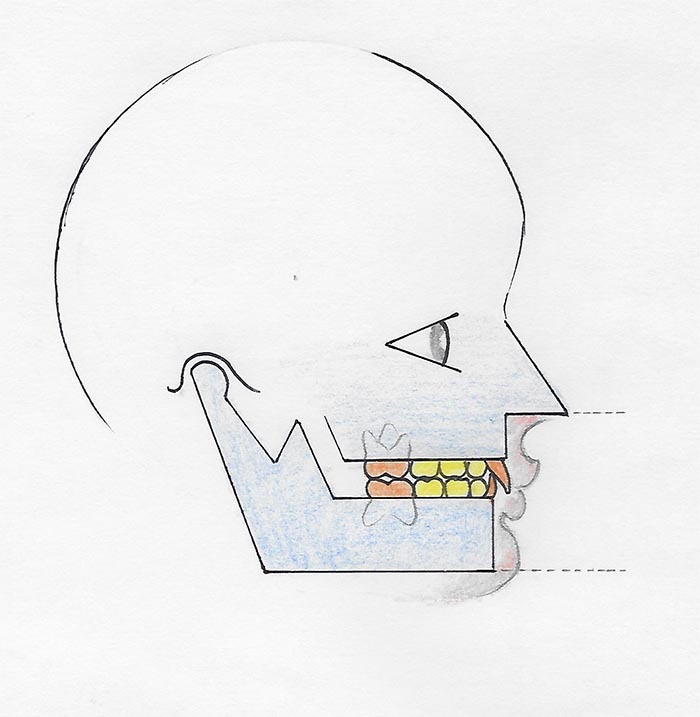 Between the ages of 6-10, while baby molars are still solid and present, is a good time to achieve an important step in building up the vertical dimension between the upper and lower jaws. In children with deep over closed bites, you will notice heavy wear on all the teeth, including incisors. 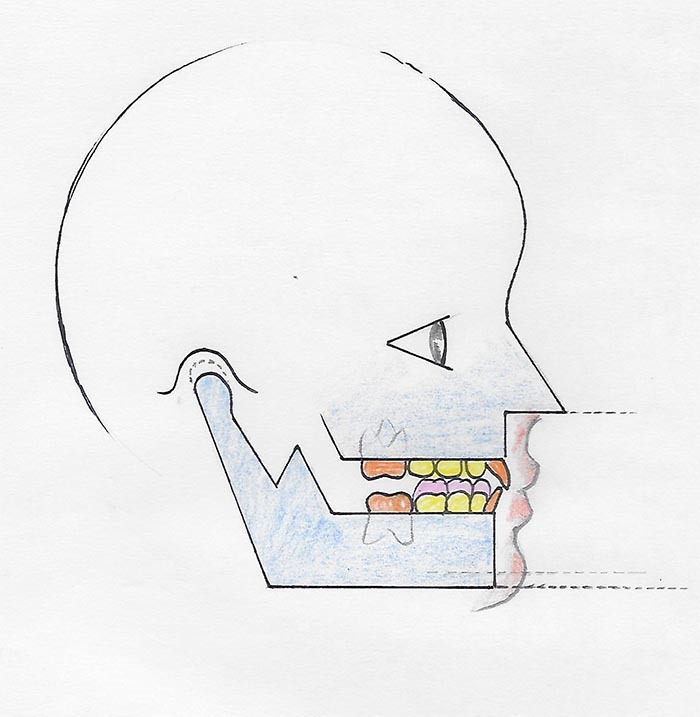 As they bite down, the lower teeth are barely visible, the tongue has no space, and these children are prone to develop childhood sleep apnea, grinding and future dental crowding. 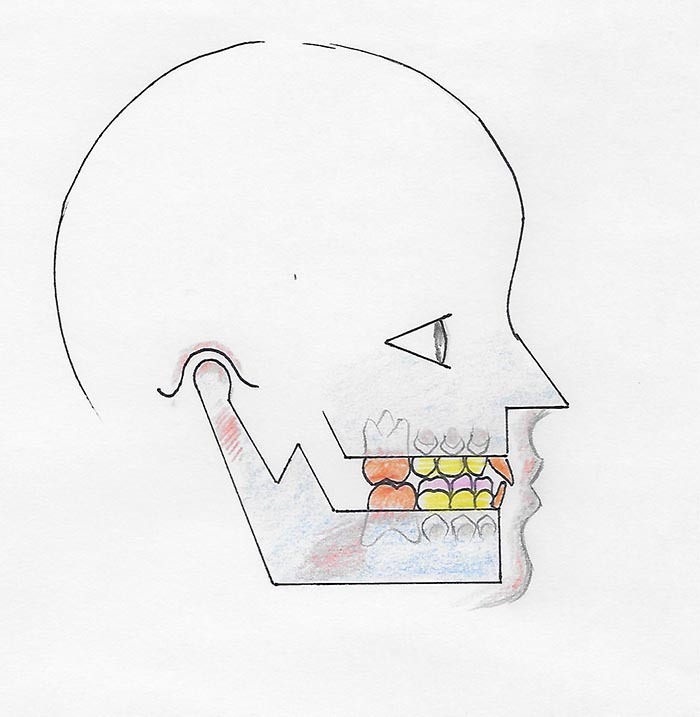 Composite build-ups are bonded on the lower baby molars, and the bite adjusted so they all contact the upper teeth evenly. 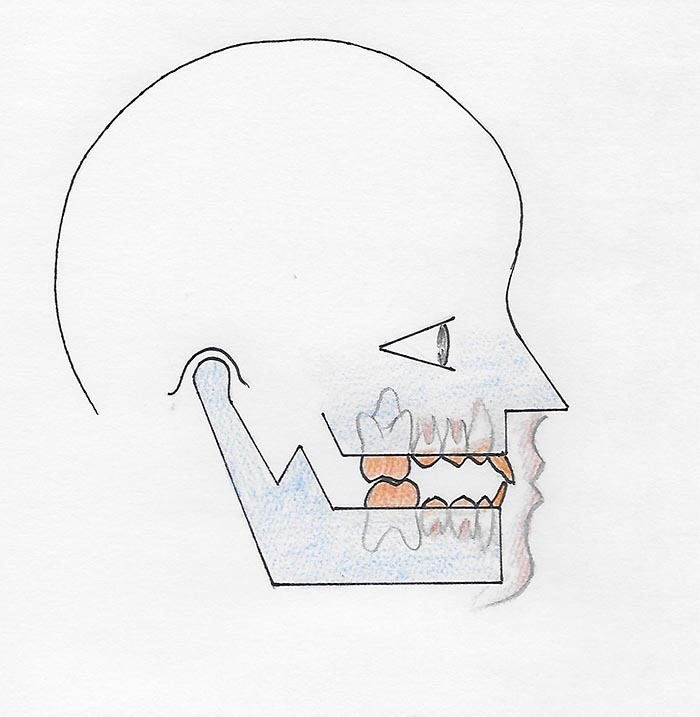 In a few months, the permanent 6-year molars in the back (orange) will erupt to fill in the space created by the buildup, and they will meet and touch the upper molars. The bones will also accelerate their growth at their growth centers marked in red, to accommodate the change in vertical dimension. These changes will be the permanent holders for the vertical dimension. During ages 10-12, all the baby molars will be shed, and the new teeth will erupt to fill in the void. During this time removable appliances cannot be worn. After age 12, the jaws, which have been growing both in length and in width, will have enough room to accommodate the permanent 12-year molar coming in behind the 6-year molars. 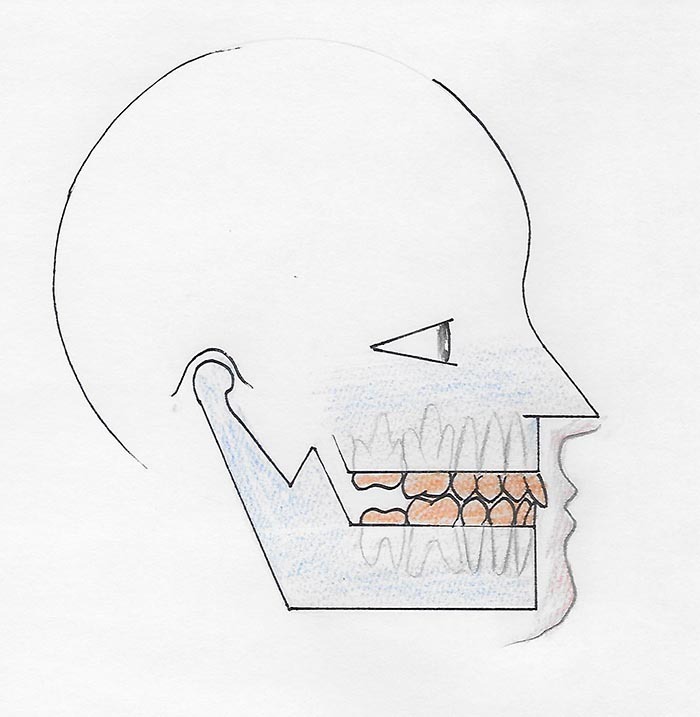 This is the stage during which braces are applied if the early intervention with arch development was not sufficient, or if the teeth come in crooked.